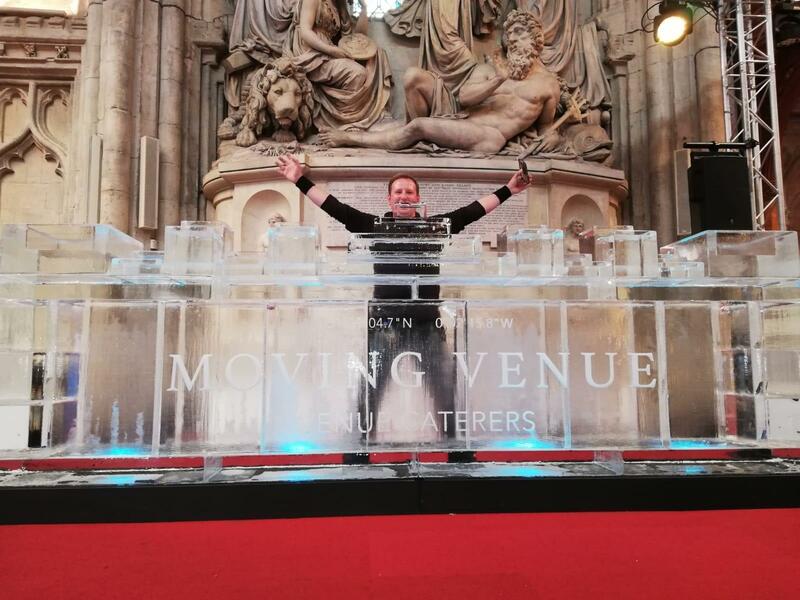 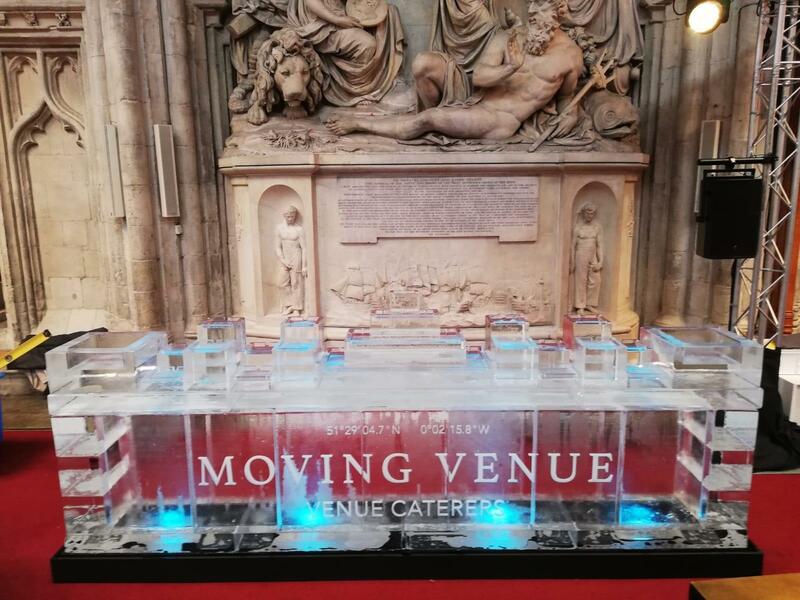 To celebrate Unique Venues of London’s 25th anniversary party at Guildhall, Moving Venue commissioned Icebox to design a 3m engraved Ice Bar for their Seafood Buffet. 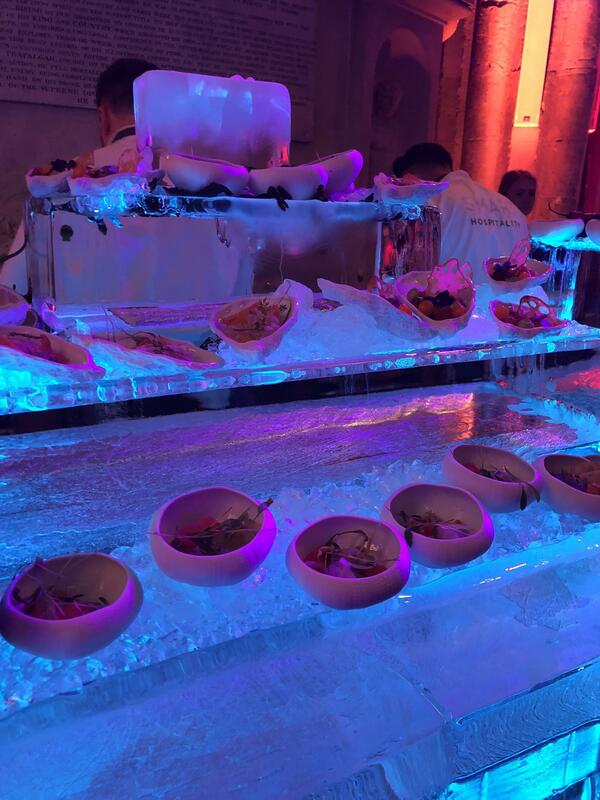 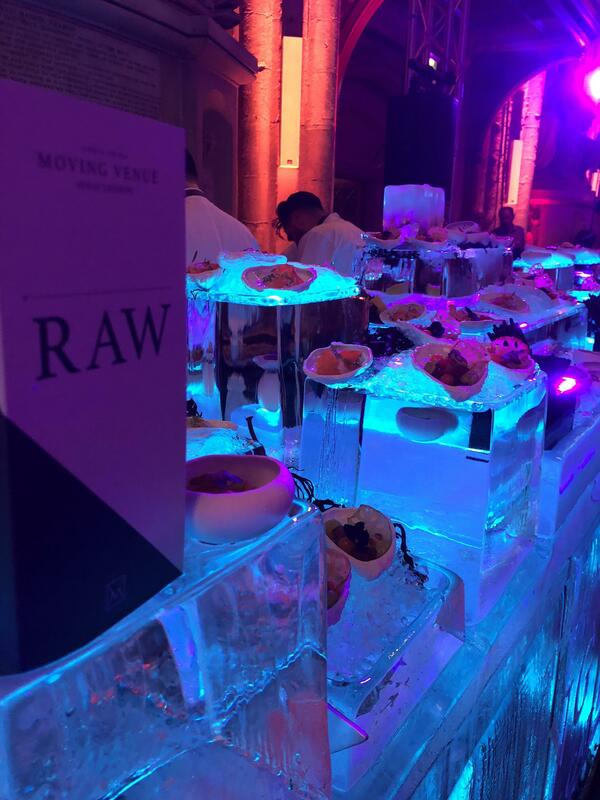 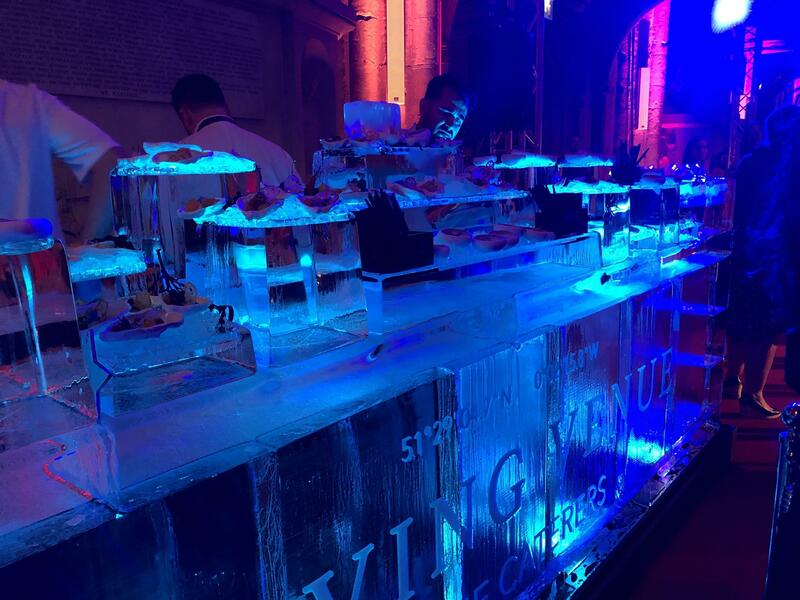 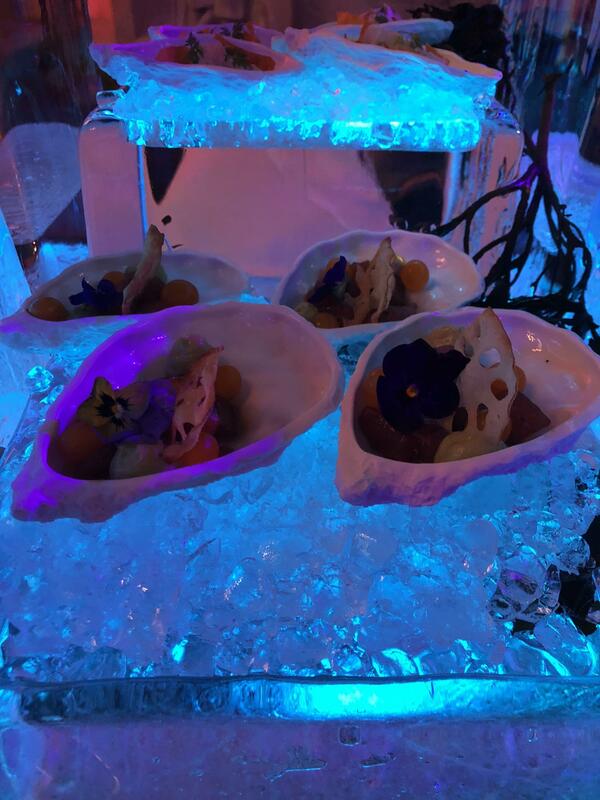 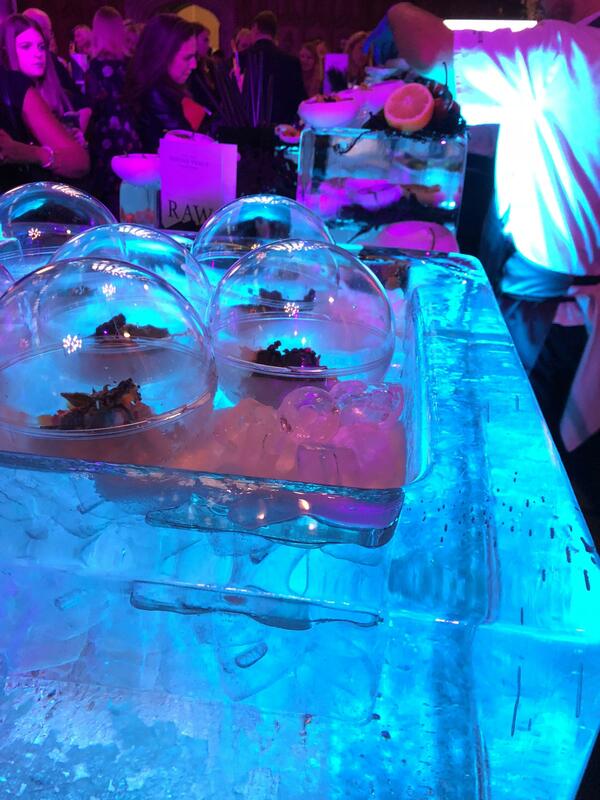 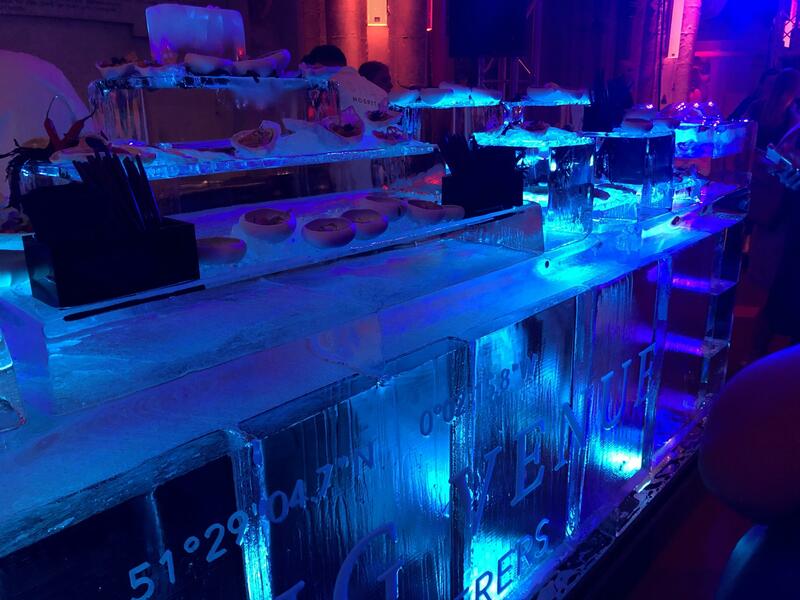 With varying raised tiers and troughs packed with crushed ice, the Ice Bar looked spectacular with such mouth-watering mini seafood dishes. 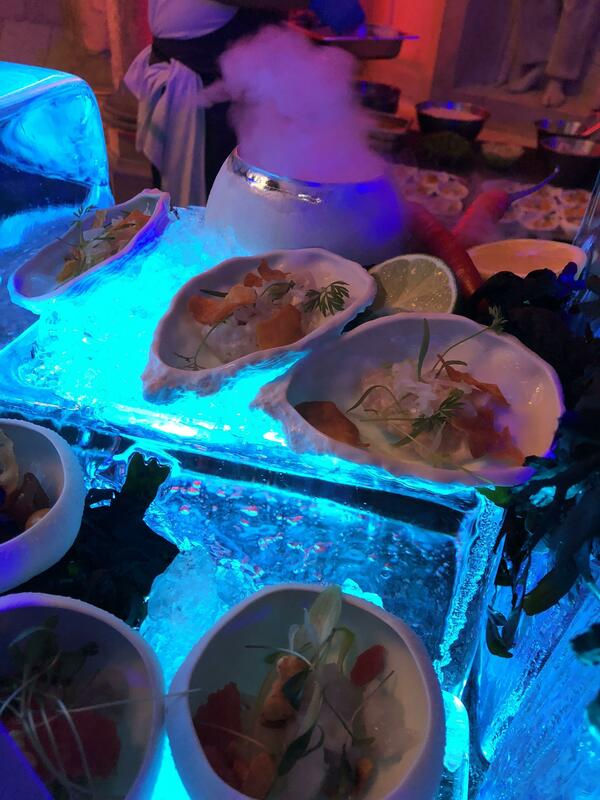 To add theatre to the evening, bowls of dry ice were displated on the bar, waiters periodically poured warm water over the ice pellets to create billowing smoke effects.